Technology is changing education — influencing everything from study habits to how students attend class — and benefits are substantial and sometimes unexpected. Gone are the days when pens, pencils and college-ruled notebooks served as the key ingredients for scholarly preparation. Today students without laptops could be left behind as higher education adopts e-books, online study halls, digital tutors and a variety of innovative study aids. As universities, high schools and other learning centers implement more technology, they are discovering how digital tools can help reinforce solid study habits by monitoring online time, preventing plagiarism and even increasing attendance. Full Text: Logging On: High-Tech Study Habits – Mobiledia. Did you know that 70% of children aged 2-5 can use a mouse but only 11% can ties their shoe laces? Or that at the start of the 21st century only half of all school classrooms had Internet access, compared to 98% today. Neither did we. This and other interesting facts are presented in this infographic. Via Graduating with Technology | LearnStuff. I leaned over to my husband, Brad Flickinger, an “unconference expert,” and whispered that I’d love to learn more about educating teachers about technology. He told me to go up and write it down. Fifteen minutes later after the milling crowds of educators thinned out from around the poster boards, I saw my idea surrounded by checkmarks. The organizer announced that Teaching Teachers about Technology would begin in five minutes on the right side of the room, and could the person who wrote the idea down please moderate and share at that session. I was here to learn from others — not lead a session — but I jumped into the deep end of the pool of unconferencing. Full Text: Ten Ideas for Teaching Teachers Technology | Edutopia. The authors hypothesized that ownership of a mobile electronic device would result in more time spent learning radiology. Current trends in radiology residents’ studying habits, their use of electronic and printed radiology learning resources, and how much of the funds allotted to them are being used toward printed vs electronic education tools were assessed in this study. 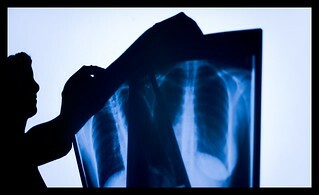 A survey study was conducted among radiology residents across the United States from June 13 to July 5, 2011. Program directors listed in the Association of Program Directors in Radiology e-mail list server received an e-mail asking for residents to participate in an online survey. The questionnaire consisted of 12 questions and assessed the type of institution, the levels of training of the respondents, and book funds allocated to residents. It also assessed the residents’ study habits, access to portable devices, and use of printed and electronic radiology resources. Radiology residents are adopters of new technologies, with 74% owning smart phones and 37% owning tablet devices. Respondents spend nearly an equal amount of time learning radiology from printed textbooks as they do from electronic resources. Eighty-one percent of respondents believe that they would spend more time learning radiology if provided with tablet devices. There is considerable use of online and electronic resources and mobile devices among the current generation of radiology residents. Benefits, such as more study time, may be obtained by radiology programs that incorporate tablet devices into the education of their residents. Full Text: Mobile Technology in Radiology Resident Education.